The King is Dead! Long Live the New King! ... Wait... who is the new king? Nobody's quite figured that one out yet. 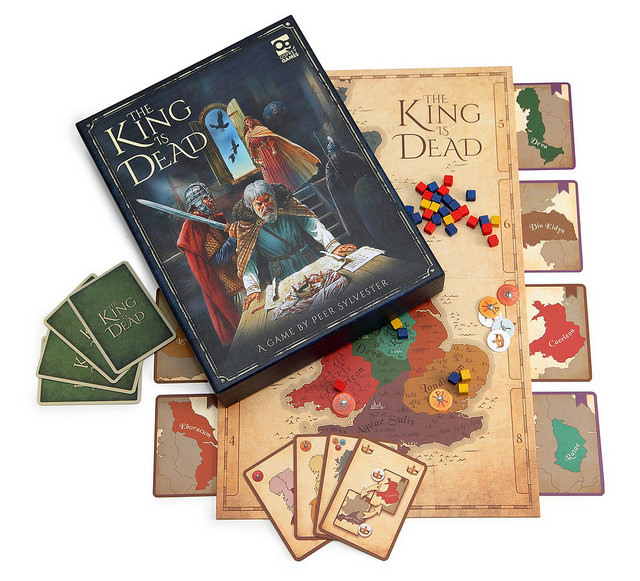 That's where you come in with Osprey Publishing's new (and first) board game, The King is Dead. It's up to the players to show that they're the ones that should be in charge. Also, there's Saxons that are invading. You should probably do something about that as well. There's a lot of risk/reward going on here. Players are free to create and break alliances as often as they want. Some amount of infighting and backstabbing is to be expected. But be careful, if you let the Saxons get too much of a foothold, the priorities in who wins will change, so all your plans could be for naught.